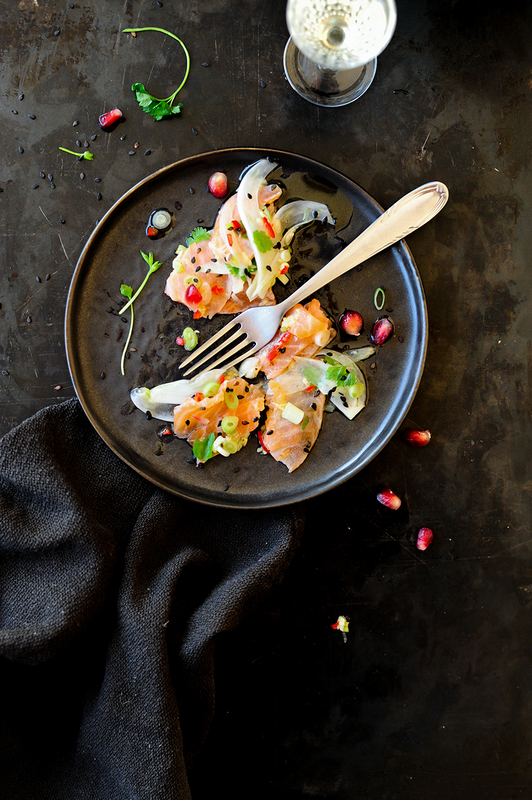 A great appetizer with raw fish and oriental notes. 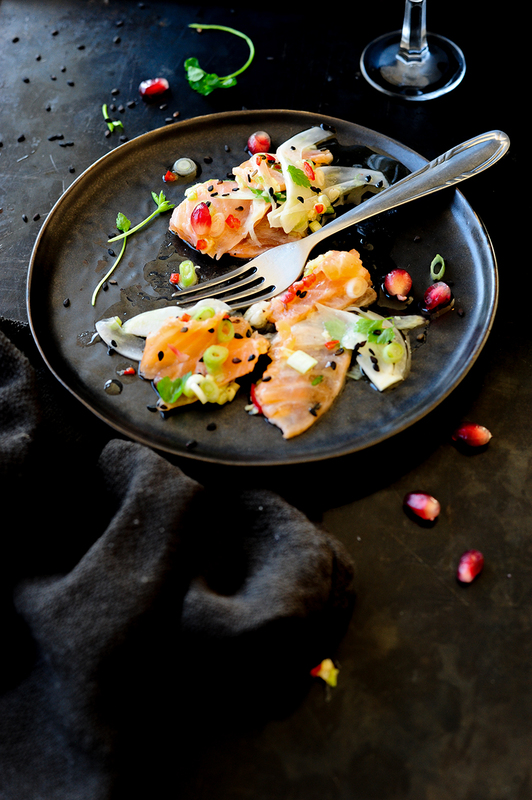 This is one of my favorite starters; it is light, colorful and very easy to prepare.This time I used salmon, but you can also try the ceviche with sea bass. The combination of chili pepper, lime and ginger really makes the difference. So many perfect fresh flavors! Combine all the ingredients for the marinade. Cut the salmon into very thin slices using a sharp knife. Arrange the slices on plates and drizzle with the marinade, put in the fridge for 10 minutes. Cut the fennel into very thin slices. Then take the fish out of the fridge and gently stir with the fennel. 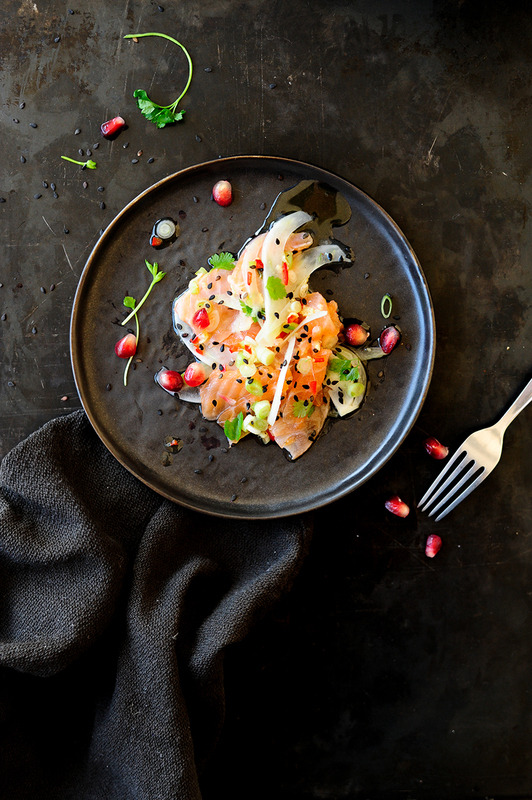 Sprinkle with pomegranate seeds, coriander and black sesame seeds. Enjoy!